Trends, preferences, and technology change and evolve over time. What was hot in 2016 may not even be around in 2017. Do you know what to include in your 2017 marketing strategy? 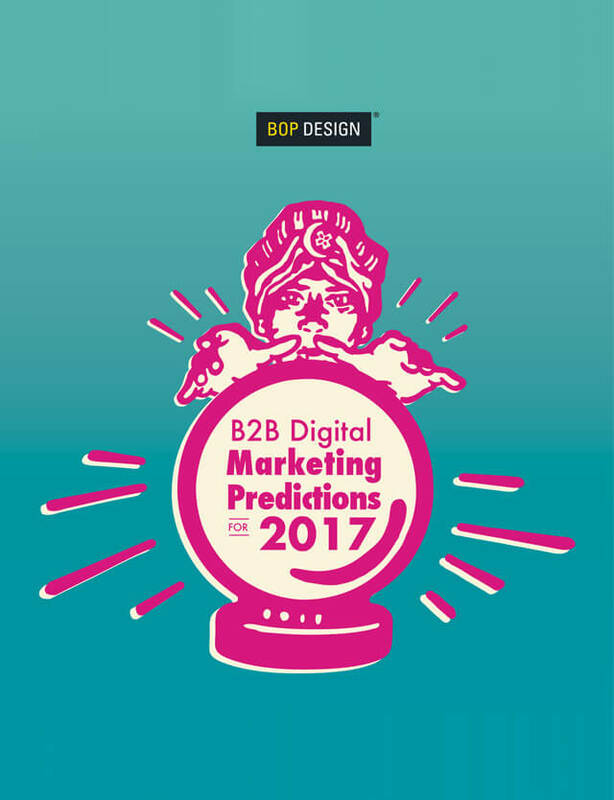 Recently, the digital marketing experts at Bop Design discussed how digital marketing, including web design, evolved in 2016 and what will be trending for B2B marketing in the coming year. The Role of SEO in Marketing – Is It Dead? Don’t fall behind the times. Get your free copy of the Predictions + Trends by completing the form.